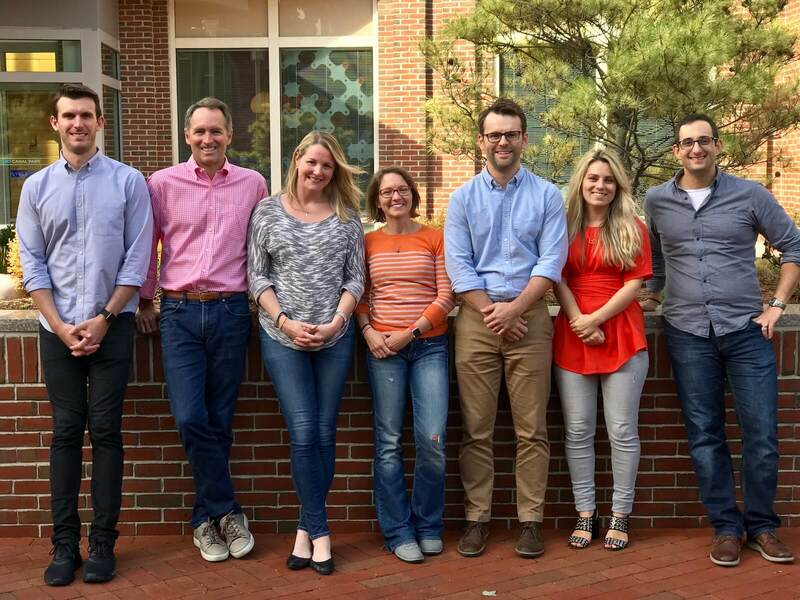 Thank you for your interest in becoming a HubSpot User Group (HUG) Leader. Being a HUG Leader is a rewarding and sometimes demanding experience. To aim to ensure that we continue to provide a world-class experience to all of our passionate HUG members, we ask that you take the time to understand what will be expected of you as your city’s leader. That’s where these HUG Guidelines come in. These guidelines contain the terms and conditions that you must agree to and abide by in order to be a HUG Leader. It is a legal document so some of the language is necessarily “legalese” but we have tried to make it as reader friendly as possible. These terms are so important though that we cannot have you participate as a HUG Leader unless you agree to them. By participating as a HUG Leader, you are agreeing to these terms. Because we want all those who attend a HUG meetup to have an awesome experience, we have certain eligibility criteria and requirements that all HUG Leaders must meet. Before we launch into these, we want to first confirm that these HUG Guidelines are agreed to between HubSpot, Inc. and the individual or company that agreed to them. So when we use “we”, “us” or “our”, we mean HubSpot, Inc. And when we use “you” or “your”, we mean the individual or company that agreed to the guidelines. These guidelines will apply for as long as you or your nominated individual remains a HUG Leader. We may, in our absolute discretion, decide that the nominated individual can no longer participate in the HUG program as a HUG Leader if he/she fails to adhere to these guidelines. Be employed by you, and you must be either a Silver, Gold, Platinum,or Diamond partner agency and/or be a direct HubSpot customer. Have a valid HubSpot Certified Trainer (HCT) certification or complete the HCT program as designated by us. Finally, you must be a HubSpot customer with your account in good standing (this includes prompt payment of any outstanding sums owed to HubSpot). Hold the first meetup within three (3) months of your becoming a HUG Leader. A meetup should focus on teaching HubSpot customers and users best practices regarding inbound marketing, inbound sales or the HubSpot products. Typical meetups allot time for networking between attendees, a 45-minute presentation or workshop, and a short Q&A period. Hold one meetup per quarter that is free of charge to all attendees and is focused only on HUG activities (this means you can’t charge for admission to the meetup, or hold a meetup as part of a larger marketing event.) If there’s a reason that a meetup can’t be held in any given quarter, or has to be rescheduled, the HUG Leader representative should let us know by sending a note into hugs@hubspot.com. Share any content being presented at a HUG with HubSpot for review, to ensure that content is suitable for HubSpot customers and users. This step is not necessary for any content that is taken from the HUG Content Library. Use exclusively a third-party solution as designated by us to conduct all marketing activity for your HUG. This includes promoting your event, collecting registrations, performing check-in, and emailing attendees. d. Your personal portal should not be used to manage ANY HUG data. You may be required to provide your information to the third-party solution. You agree that all of your use of third-party solution is subject to the terms of that third-party’s services. We disclaim all liability and claims for your use of the third-party solution. Use the HUG collateral that we provide you in accordance with the HUG collateral Do’s and Don’ts section below. Reserve a certain amount of time each week to spend on your HUG Leader activities. Maintain the performance criteria set out in the 5. Performance Reviews and Discontinuance section below. We appreciate our HUG Leaders and provide the support we describe below, which we hope will help make our HUG Leaders successful. We will also try to raise awareness for your HUG at our sole discretion. We understand hosting meetups sometimes comes with a financial cost. So, if you pay for food, beverages or space for your meetup, then we will provide a stipend on a quarterly basis with the amount set forth in the table below. We will calculate the tier that is applicable to you based on the average number of HubSpot customers/users attendees that you hosted during the preceding year. If you are a new HUG Leader, you will receive the stipend outlined below (equal to the stipend for 25 or less average attendees). *HubSpot reserves the right to provide additional spending to HUG leaders at our sole discretion. For example, if you had an average number of 40 attendees at each HUG meetup hosted by you during 2018, we will pay you a stipend of $1,000 USD on a quarterly basis during 2019 for as long as you are participating in the HUG Program and in good standing. Your average attendance will be assessed at the end of each calendar year and should you qualify for a different tier, we will apply that tier on a going-forward basis from the first quarter of the calendar year following the assessment date. While we appreciate your participation in the HUG program, outside of the stipend or expenses that we have set out above, we won’t reimburse or otherwise compensate you for your HUG Leader representative’s time, travel or any other expense you incur in connection with your participation as a HUG Leader. In order to receive your stipend within 30 days of the first day of the quarter, you must ensure that HubSpot has the most up-to-date financial information required to process the payment to you. Make your HUG website and other promotional assets neutral in representation. This means that these shouldn’t be designed in a way that looks like they are affiliated with organizations other than HubSpot. This includes but is not limited to designing assets that reflect your company’s branding or that promote your company’s services. Take pride in the quality of your HUG collateral. Use the provided official HUG logo for your city on all printed, online, and other collateral. See section 4 below. Use the your approved official city name when creating your logo. For example, a HUG in Boston, would not use the name “BOS HUG”, they would use the phrase “Boston HUG”. Use HUG collateral to promote your business, products or services. Use the contact information obtained through the HUG website or check-in form for anything except related to HUG-related activities. This means, for example, you can’t use this contact information to send general “marketing news” about your business. Use the ‘HUG’ name or branding (which includes, but is not limited to, the names ‘HubSpot’, ‘HubSpot Academy’ and ‘HubSpot User Group’) without our written consent . Any use of our marks or brand must be solely for the purpose of promoting your HUG meetup. For more details, please see the trademark usage requirements in section 4 below. While we might make a HubSpot Marketing portal available to you to use in accordance with these HUG Guidelines, this portal and all intellectual property related to it belong to and are the property of us or our licensors (if any). All content developed by you in connection with your role as a HUG Leader, including (without limitation) the HUG logo, will be owned by us and you hereby irrevocably transfer, assign and convey to us the exclusive copyright ownership in such materials, without the necessity of any further consideration. You grant to us a nonexclusive, nontransferable, royalty-free right to use and display your trademarks, service marks and logos (“Your Marks”) in connection with the HUG program and as we may otherwise choose. While you are a HUG Leader in good standing, you may use our trademark as long as you follow the usage requirements in this section. You must: (i) only use the images of our trademark that we make available to you, without altering them in any way; (ii) only use our trademarks in connection with your activities as a HUG Leader; and (iii) immediately comply if we request that you discontinue use or alter use due to updated brand marks. You must not: (i) use our trademark in a misleading or disparaging way; (ii) use our trademark in a way that implies we endorse, sponsor or approve of your services or products; or (iii) use our trademark in violation of applicable law or in connection with an obscene, indecent, or unlawful topic or material. As of December 2017, in an effort to maintain brand consistency across the growing, global HUG program, HubSpot will only support and allow HubSpot User Group wordmarks, including social media avatars, for each HUG instance, e.g. “HubSpot User Groups - Austin” and will expect each HUG Leader and appropriate HUG representative to update their respective HUG wordmark. As HubSpot has grown, we’ve sought to leverage the growing equity of the HubSpot name (and our well-known “sprocket” logo) and so we’ve asked not only our agency partners, customers, and technology partners, but our employees to use an updated system that maintains the integrity and consistency of our HubSpot wordmark in relation to the company’s family of products, programs, initiatives and offices. Download the logo Illustrator file and fonts. HubSpot owns the font license, so it can only be used for marketing HUGs and no other uses. You can use your logo in full color (Obsidian #33475B and Lorax #FF7A59 - Lorax for the sprocket only), all white, and all black. Please reference our Style Guide for more details. Once you have inserted the name of your city in all the desired layouts and color combinations, you’re ready to export. Go to File > Export > Export As. Then in pop up window, click the Format drop-down, select PNG and check the Use Artboards box and All button. Click the Export button and you will have usable logos for all your needs. When using your HUG logo in copy, simply write out "HubSpot User Groups New York" not "HubSpot User Groups - New York" or in conjunction with any other separating characters. If you fail to hold at least four (4) meetups throughout the year, we may, at our sole discretion withhold your financial stipends or your termination from the program. We will review your performance at the end of each calendar year. You must have (i) achieved an average minimum attendance of at least twenty (20) individuals at each meetup, (ii) achieved an average event rating of at least 7/10, and (iii) maintain all of the certifications listed in the eligibility criteria set out above. While we endeavor to give you the opportunity to continue to participate in the HUG program if you meet or exceed expectations, we may choose to discontinue your participation or the HUG program generally at any time in our discretion by notifying you. We may immediately discontinue your participation in the HUG program at any time if you fail to comply with these guidelines or if we determine that you are acting in a way that has or may negatively reflect on or affect us, our prospects, or our customers. You will indemnify, defend and hold us harmless, at your expense, against any third-party claim, suit, action, or proceeding (each, an "Action") brought against us (and our officers, directors, employees, agents, service providers, licensors, and affiliates) by a third party not affiliated with us to the extent that such Action is based upon or arises out of your participation as a HUG Leader. We will: notify you after becoming aware of any such claim; give you sole control of the defense or settlement of such a claim; and provide you (at your expense) with any and all information and assistance reasonably requested by you to handle the defense or settlement of the claim. You shall not accept any settlement that (i) imposes an obligation on us; (ii) requires us to make an admission; or (iii) imposes liability not covered by these indemnifications or places restrictions on us without our prior written consent. WE AND OUR AFFILIATES AND AGENTS MAKE NO REPRESENTATIONS OR WARRANTIES ABOUT THE HUG PROGRAM OR YOUR PARTICIPATION AS A HUG LEADER. TO THE EXTENT PERMITTED BY LAW, IN NO EVENT SHALL WE BE LIABLE FOR ANY INDIRECT, PUNITIVE, OR CONSEQUENTIAL DAMAGES, INCLUDING LOST PROFITS OR BUSINESS OPPORTUNITIES. IF, NOTWITHSTANDING THE OTHER TERMS OF THESE GUIDELINES, WE ARE DETERMINED TO HAVE ANY LIABILITY TO YOU OR ANY THIRD PARTY, THE PARTIES AGREE THAT OUR AGGREGATE LIABILITY WILL BE LIMITED TO ONE HUNDRED DOLLARS. We may update and change any part or all of these guidelines at any time without notifying you first. If we update or change these guidelines, the updated guidelines will be posted at http://legal.hubspot.com/hug-guidelines. The updated guidelines will become effective and binding on the next business day after they are posted. When we change these guidelines, the "Last Modified" date above will be updated to reflect the date of the most recent version. We encourage you to review these guidelines periodically. These guidelines set forth the entire agreement between us related to your participation as a HUG Leader and supersedes all other proposals and agreements related your participation as a HUG Leader, whether electronic, oral or written, between us.